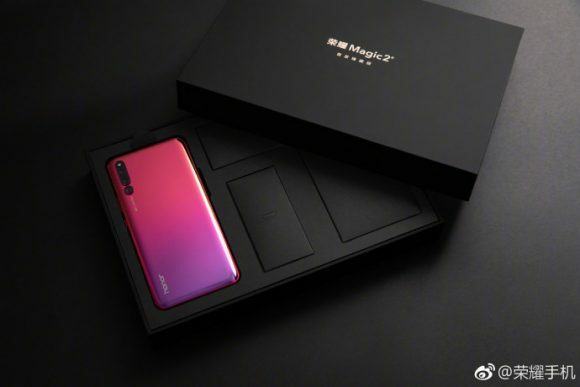 The not-yet-released honor Magic 2 is a bit of an open secret right now, thanks to the many leaks and official teasers released about the device before it is even launched! 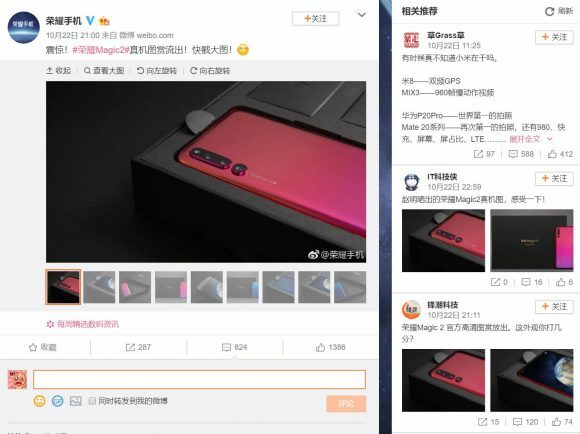 We know that the Magic 2 is a fullview no-notch device that will feature a unique front camera slider mechanism and today, thanks to a leak from Weibo, we can see what is probably the actual product and packaging images of the Magic 2. From what we’re seeing, there’s a lot to like. The first thing we notice is a new colour scheme in a very delicious looking red/purple gradient. Alongside the device is a rather elegant packaging design with gold text on it. However, it is unknown at this point what’s included in the box. All we know is that the box is rather big with other smaller boxes inside – you can expect the standard contents like a power brick, charging cable and earphones but we can see that there is a great emphasis on the presence and the experience of unboxing the device. Elsewhere, the handset uses a familiar design that we’ve seen on the Huawei P20 Pro – thanks to the very iconic three vertically aligned cameras. The triple camera module is expected to be a 16MP main shooter, a 24MP monochrome camera and a 16MP telephoto unit, according to sources. At the front, you can expect a 16MP front camera that’s hidden thanks to a slider mechanism to make room for a front that’s all display. 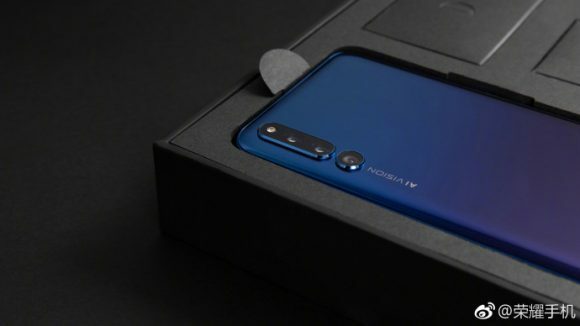 The slider mechanism is one of the most unique features of the Magic 2 and unlike the hidden cameras on the Oppo Find X or the Vivo Nex the slider mechanism of the Magic 2 looks to be operated manually. 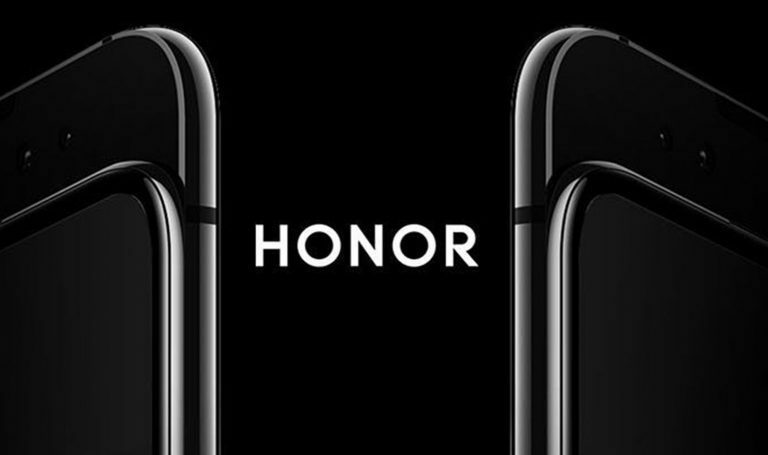 Besides that, there’s also no fingerprint scanner found anywhere on the device, so we assume that it’s either underneath the display, or honor chose to ditch it entirely and go with face recognition only. 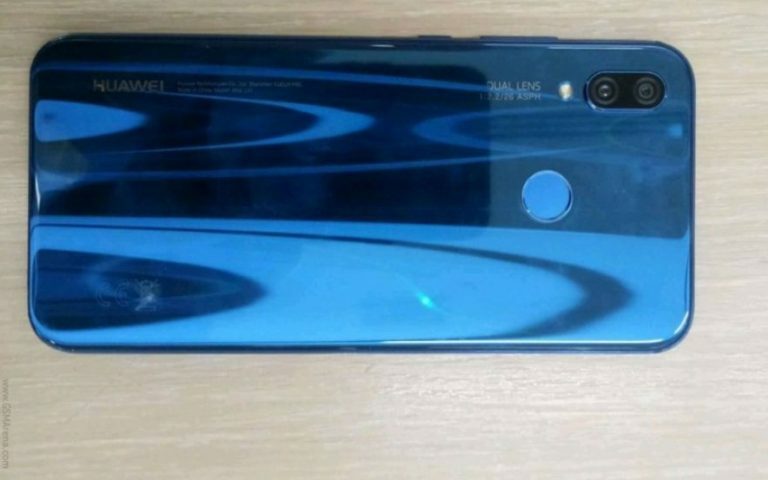 And since this is a brand new device from honor, I won’t be surprised if the Magic 2 runs on Android 9 Pie with EMUI 9. For now, we can confirm that the Magic 2 will be powered by the Huawei’s latest flagship processor, the 7nm Kirin 980 processor. This is the same processor currently being used in the recently-launched Mate 20 series. 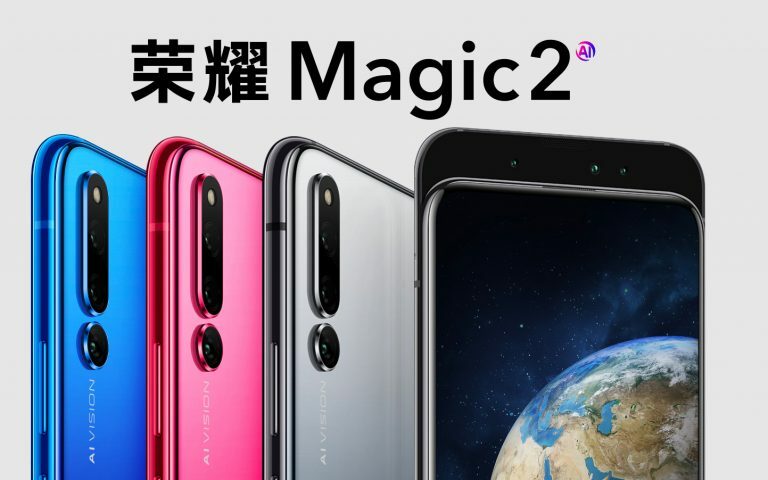 Other things to expect is from the Magic 2 is support for Huawei’s SuperCharge 2.0 that pushes over 40 Watts of fast-charging goodness. 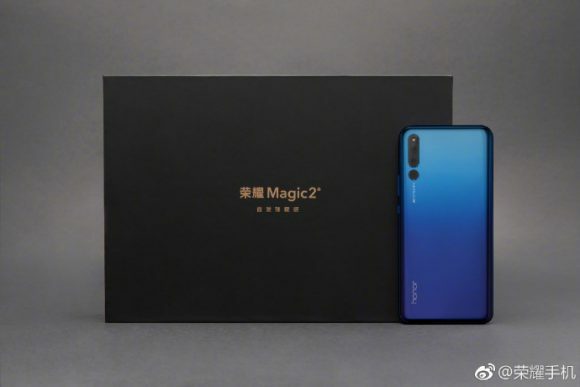 The Magic 2 is expected to be announced in China on 31st October 2018.